Memorial Day Dessert: Red, White, and Blueberry! Today we celebrate Memorial Day. It’s a day to remember the service and sacrifice of those who joined the military to fight for our right to the many freedoms we so often take for granted. I thank those family and friends who served, and those whose names I will never know. Memorial Day traditionally kicks off the start of summer. 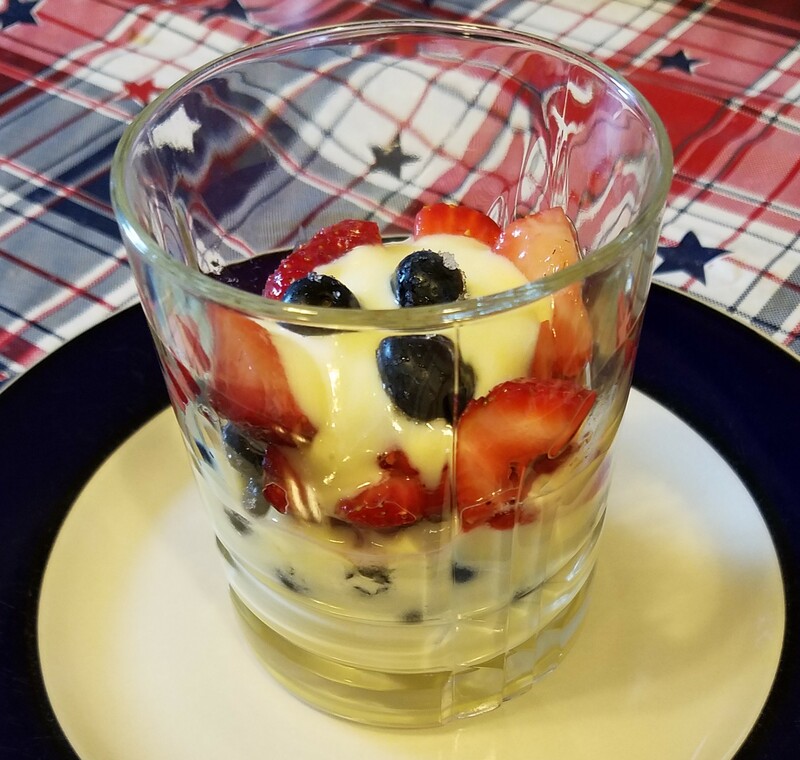 There is always a place for a fast dessert that incorporates patriotic colors, but is easily made with other seasonal flavors and ingredients. Combine pudding mix and milk in a bowl; whisk together for 2 minutes. Let set up for 5 minutes. Mix in frozen whipped topping, using whisk to break up lumps. Spoon pudding mix into a clear container (I used a short glass). Spoon blueberries around the sides, and layer in more pudding mix. Spoon strawberries around the sides, and top with another layer of pudding. Top with three blueberries.